Single Wide Garages made by Glick Woodworks are the storage solution that you’re looking for. Whether you would like to acquire more vehicle space, or just want more room for your equipment, our single car garage can meet those needs. 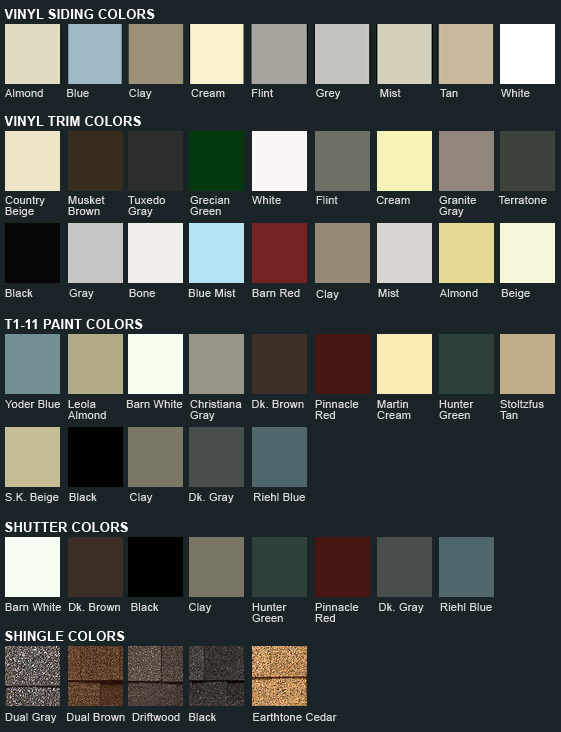 We give you the option to choose the exterior, size, shutter, and roof color, customizing the structure for your property. Contact us today for a free estimate! 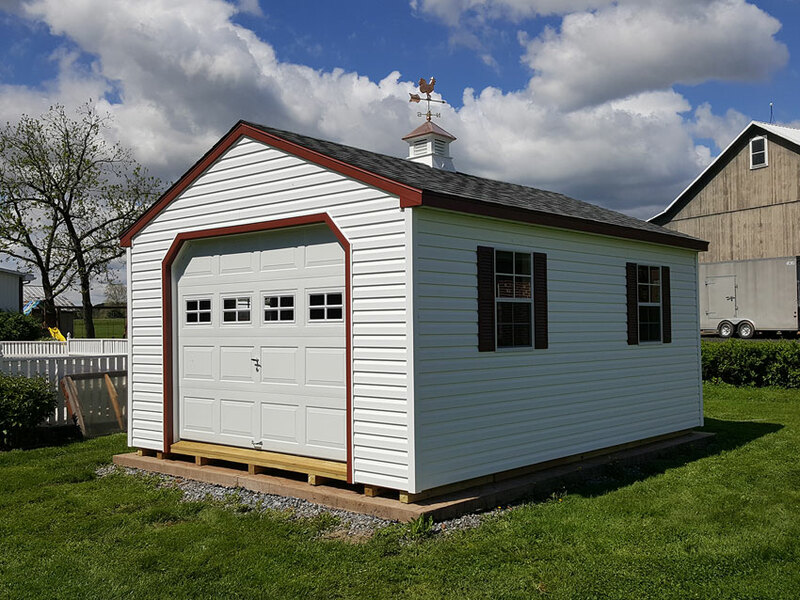 Our single car garages come standard with floor joists 12″ o/c, 2 layers 5/8″ flooring, 9′ wide overhead door, 3′ entry door, and (2) 24″ x 36″ windows with shutters. 14’ Wide has 4/12 Pitch Roof due to HaulingHeight Restrictions. **More Custom Design Features Available, Ask Us! "This was an amazing experience from first going on the website, to coming over and ordering, to leveling the garage to putting it in place."